How well does your deo protect sensitive skin? 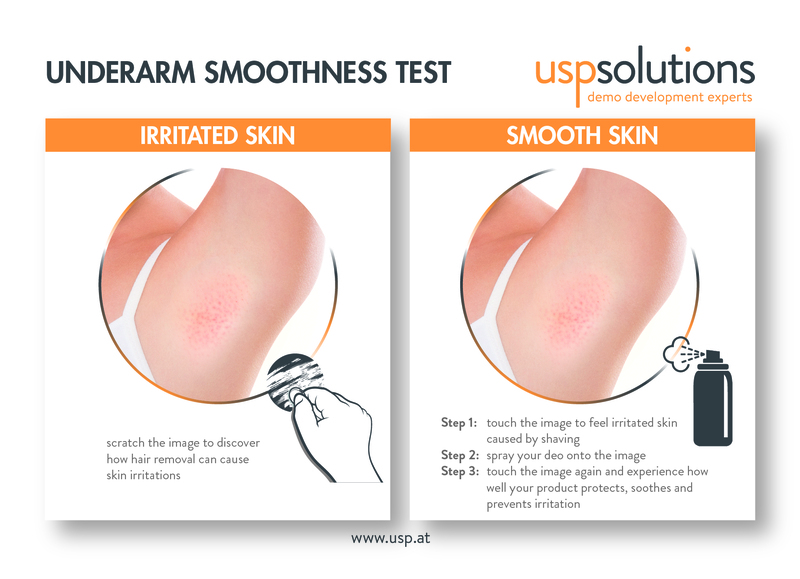 USP Solutions’ Underarm Smoothness Test is a reliable and easy-to-use test. It consists out two test fields. 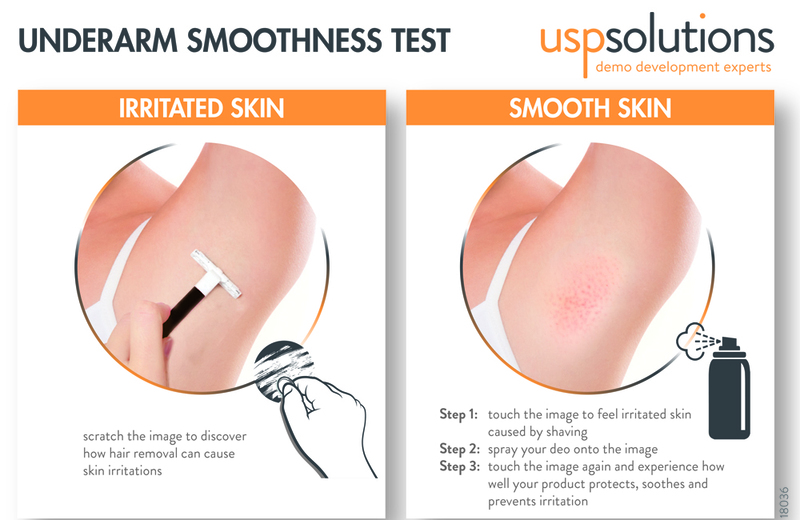 The test area on the left (Test 1) visualizes how hair removal can irritate the skin. The test area to the right (Test 2) demonstrates how a deo spray can turn rough and irritated skin into perfectly smooth underarms. When consumers learn about their skin needs, they experience an “A-ha” moment. This emotional experience is also referred to as “Beauty Moment of Truth”. This test card, therefore, creates an engaging consumer experience whilst simultaneously guiding to the right product choice – essential when it comes to brand trust and brand loyalty. We can easily customize the Underarm Smoothness Test and adjust size, shape, material, printing effects and more – so the tool perfectly reflects the uniqueness of your brand. Just wanted to thank you for your great work on our skin type tester. Your input was really valuable since you developed the artwork for us in a very qualitative and creative way. Our team was also very impressed by the speed of execution since in 1 month everything was done, even in a year-end time. The testers are already a success on the market! Let's set a meeting or a skype call!